Our commitment to work tirelessly to provide the best care for our planet has fuelled our sense of innovation. We can now offer a complete range of amphibious heavy equipment with both quality and versatility. Our Amphibex, is designed as a general purpose amphibious excavator with exceptional performances. Our company continuously demonstrates its ability to conceive and develop solutions which makes work in marine and shoreline environments safer and easier. General Dynamics Mission Systems–Canada is one of the largest system integration companies in Canada with a set of public safety and disaster management solutions that provide reliable communications and situational awareness for deployed operations. Founded in 1999, RED52 is a Mexican licensed satellite telecommunications provider. It provides connectivity and teleport services, occasional and full time space segments for data, voice and video applications, as well as internet access. RED52 provides front line emergency recovery services throughout Latin America and the Caribbean. Volga-Dnepr Airlines is the word leader in specialised market of oversize and super-heavy cargo transportation. Volga-Dnepr Airlines provides the whole package of logistics services for air charter movements of complex, special and oversize cargo. The airline operates a unique fleet of ramp aircraft comprising of 12 Antonov 124-100 'Ruslan' and 5 llyushin-76 freighter aircraft. Founded in 1977, Eutelsat Communications is one of the world’s leading satellite operators. With a global fleet of satellites and associated ground infrastructure, Eutelsat enables clients across video, data, government, fixed and mobile broadband markets to communicate effectively to their customers, irrespective of their location. Fracht is a global transportation company with the goal of delivering rapid, safe, and cost efficient logistics solutions in extreme situations. We achieve this through long-standing worldwide partnerships, dedicated professionals and a compassionate culture. HELISTAR S.A.S.,combines technology, innovation, commitment and experience designing a MEDEVAC service for rescue or aerial rescue operations, with state-of-the-art aircraft and with the necessary resources to carry out a safe transfer. JUSA – Extensive hands on experience in Probable Maximum Loss studies, Risk Management, damage assessment, integrated design-construction projects, all scales, urban design, architecture, earthquake & structural engineering, MEP, retrofit/rebuild, energy & environment, adaptive, low carbon. 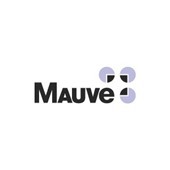 With a strategic presence spanning all continents and over twenty years’ experience, Mauve Group provides NGOs, NPOs and for-profit organisations alike with cost-effective, creative solutions. From local advisory services to full management of an international assignment, Mauve can facilitate projects of every size and scope as your global partner. The Panalpina Group is one of the world’s leading providers of supply chain solutions. The company combines its core products to deliver globally integrated, tailor-made end-to-end solutions for twelve core industries. A leading supplier of security equipment to NGO’s, trans-national organisations, law-enforcement agencies and security companies worldwide. A complete range of equipment including camps, vehicles, uniforms, tactical gear, PPE, optics, forensics, communications and medical.